Conservation efforts to protect marine mammals, especially large whales, continue to face great difficulties and, in some cases, have managed only marginal improvements. 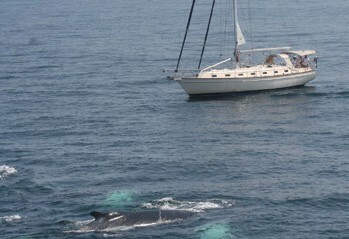 Most notably, only around 450 North Atlantic right whales survive today. Those that remain face serious human-induced threats such as vessel strikes, entanglement in fishing gear and habitat degradation. 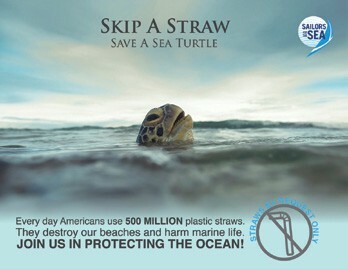 To reverse this trend, our friends at Sailors for the Sea in Newport, RI have launched a campaign called Skip a Straw – Save a Sea Turtle.